Retro African American Jazz Musician Playing On His Trumpet... Stock Photo, Picture And Royalty Free Image. Image 22473299. 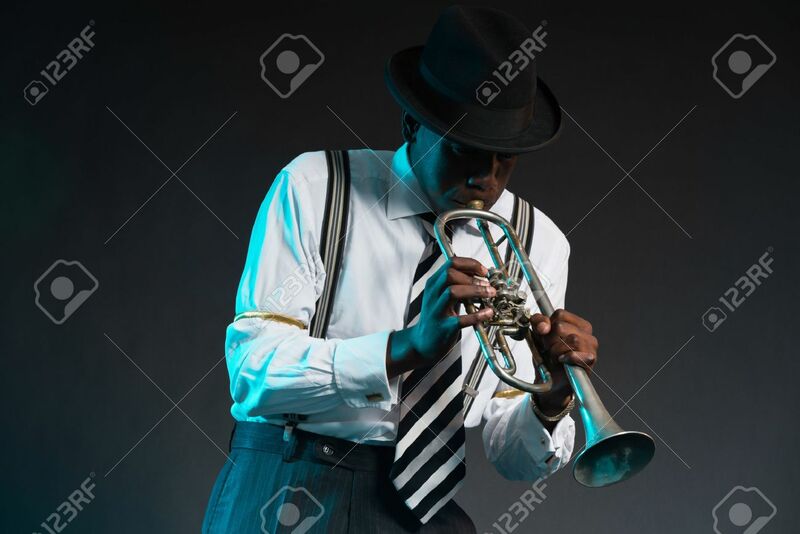 Stock Photo - Retro african american jazz musician playing on his trumpet. Wearing shirt and tie and hat. Studio shot. Retro african american jazz musician playing on his trumpet. Wearing shirt and tie and hat. Studio shot.